The Emancipation Proclamation will be on view at the Tennessee State Museum Feb. 12 -18. The document, which is making its only southeastern U.S. stop in Nashville, will only be on view for 72 hours over the seven days. After that, a facsimile of the document will be in the exhibit. 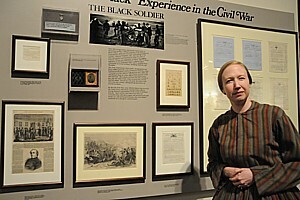 The viewing is in conjunction with the Discovering the Civil War exhibition from Washington D.C.’s National Archives. President Abraham Lincoln signed the document in 1863 proclaiming all those enslaved in Confederate territory to be forever free. 2013 marks the 150th anniversary of the signing of the Emancipation Proclamation. Museum officials estimate that 300 people will be able to see the document each hour. However, time periods will be built in so that when no reservations are sold, lines can catch-up if they are running behind, or to let more people walk in if the line is running on time. The Discovering the Civil War exhibit will continue at the museum through September 1, 2013. Many of the other items on display have never been publicly exhibited. Highlights include the original copy of the 13th Amendment abolishing slavery along with South Carolina’s 1860 declaration of secession. This popular traveling exhibit is free to the public, and the State Museum will be the last stop before these historic documents return to Washington D.C.
Reservations are on sale through TPAC Ticketing which has ticket windows on site in the same building as the museum. Visitors may obtain a reservation at the windows; going online to www.tpac.org; or by calling a local Nashville number 615-782-4040. There will be a handling charge of $1.00 paid to TPAC Ticketing for each reservation. There is no admission charge to see the document. For additional updates on the Emancipation Proclamation and Discovering the Civil War, visit the museum’s website at www.tnmuseum.org. Discovering the Civil War was created by the National Archives and Records Administration and the Foundation for the National Archives. Usher in the holiday season with an enchanting tour of historic homes and landmarks. The annual Oaklands Christmas Candlelight Tour of Homes is slated for December 1, 2012 from 4:00 p.m. – 8:00 p.m. in Murfreesboro, Tennessee. The tour, sponsored by Oaklands Association will feature beautiful and historic private homes along Cherry Lane and East Main Street and the graceful Oaklands Historic House Museum. 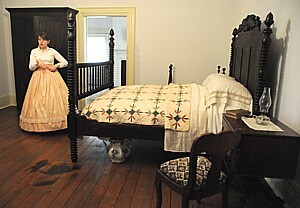 The cornerstone of the tour is the grand Oaklands Historic House Museum. Interpreters in period attire will guide you through the history of this gracious mansion. At its peak, Oaklands was the center of a 1,500 acre plantation and one of the most elegant homes in Middle Tennessee. Since that time, Oaklands has seen dramatic changes. Following the Civil War, it deteriorated from a majestic mansion to virtual ruins and, in the 1950’s, its very existence was threatened. The mansion was brought back from the brink of destruction and saved from the wrecking ball when a group of concerned ladies created Oaklands Association in 1959. Since that time, the Association has worked tirelessly to restore Oaklands to its original splendor and preserve its unique history. Today, local residents and visitors alike enjoy the mansion that has been lovingly restored and brought back to its former glory. The proceeds of the Candlelight Tour of Homes go toward the care and preservation of this historic treasure. Admission is $10.00 per person 21 years and older, students $8 .00, ages 6-12, $5.00, ages 5 and under are free. Tickets may be purchased at any home on the tour and at Oaklands Historic House Museum. Oaklands Association is a non-profit educational organization. For more information on becoming a member or a volunteer, call (615) 893-0022 or email: info@oaklandsmuseum.org. To observe the 150th anniversary of the Battle of Wilson’s Creek just outside Springfield, Mo., the Wilson’s Creek National Battlefield Foundation is planning a commemoration Aug. 12-14, 2011. This event will include a full-scale Civil War battle reenactment, period civilian activities, crafts, educational activities, historical information booths, and much more. It will be on property north of the battlefield, and all proceeds will support the battlefield. The conflict that threatened the future of the nation came home for the residents of southwest Missouri in August 1861, when two armies descended on the oak hills south of Springfield. The Battle of Wilson’s Creek, the second major Civil War battle, decided the fate of Missouri and defined its role in the war. More than 2,500 Union and Confederate soldiers were killed, wounded or missing after the battle. In 1961 on the 100th anniversary of the battle, Wilson’s Creek National Battlefield was dedicated, becoming one of the best preserved and most pristine Civil War sites in the National Park System. Today, more than 150 years later, we are still remembering the events that took place there, the role Wilson’s Creek played in the struggle to save Missouri for the Union, and the larger effort to win freedom for an entire race of Americans. Visitors to the park can walk along the Wire Road like the young soldiers who fought and died, relive the battle from the perspective of the Ray family and understand the impact of the war through educational exhibits and artifacts in the Civil War Museum and Visitors Center. Visit the nation’s historical sites over the next four years – the Sesquicentennial Anniversary of the Civil War – to keep the meaning of these special places alive for future generations. 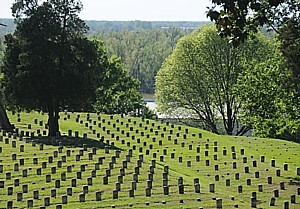 For more information about the Battle of Wilson’s Creek commemoration and reenactment, visit www.wilsonscreek.com. 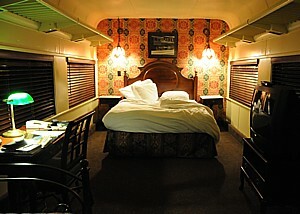 To learn more about the Springfield area, visit www.SpringfieldAdventures.com or call the Convention & Visitors Bureau at 800-678-8767.